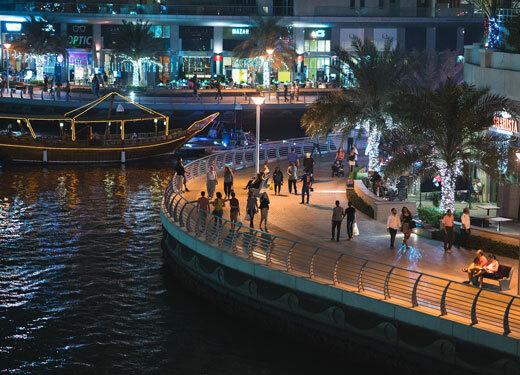 Dubai’s tourism sector celebrated another record period of growth in the first quarter of 2018, with overnight guests reaching 4.7 million during the period, up two percent compared to the same period in 2017. India remained the emirate’s biggest source market with 617,000 visitors, up seven percent year on year, followed by Saudi Arabia and the United Kingdom. Russia entered the top five for the first time, ranking fourth with 259,000 visitors, representing a year-on-year rise of 106 percent. Meanwhile, China rounded out the top five source markets, delivering 258,000 visitors, up 12 percent year on year. Ranking sixth to tenth were Oman, Germany, United States, Iran and Pakistan. Elsewhere, France ranked 12th with 103,000 (+17 percent), while Italy ranked 14th with 80,000 visitors (+20 percent). Russia, the wider CIS and Eastern Europe collectively delivered 10 per cent of total visitation and contributed an impressive 50% increase in visitation for the first quarter. Dubai’s hotel sector also grew strongly in the first quarter, with the emirate’s hotel room inventory standing at 108,807 spread across 689 hotel and hotel apartment establishments, representing year-on-year increases of 4 and 1 per cent respectively. Occupied room nights totalled 8.27 million versus 7.96 million in Q1, 2017, while the average occupancy rate across all hotel and hotel apartment categories stood at an impressive 87 percent.